The 22 LR and 22 Magnum are two of the most popular rounds in existence. Their low recoil, concussion, and noise makes them appealing to new shooters. 22 caliber handguns are very easy and enjoyable to shoot. 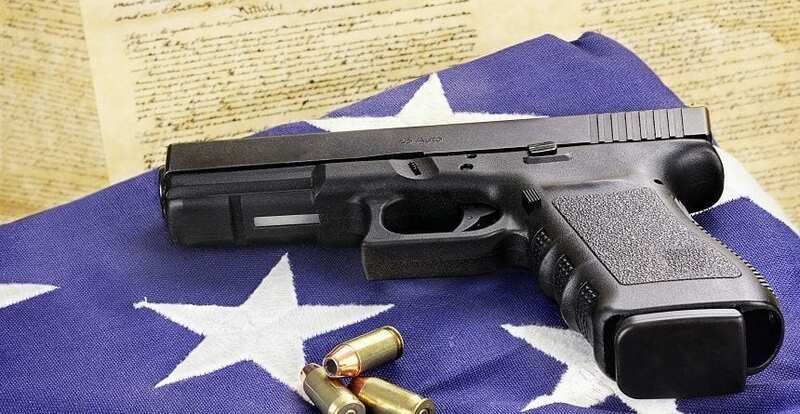 Let’s look at a couple of important factors to consider when owning a Pistol in the 22 caliber. You’ll see our top 3 picks below, followed by a more in depth review of our 5 favorites for just about any arsenal. 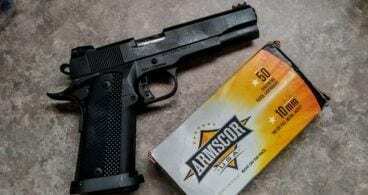 Is a 22 Pistol Good For EDC? 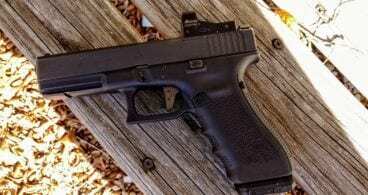 Are 22 Handguns Survival Proof? EDC, or everyday carry, is the firearm a concealed carrier will carry daily for self-defense. With the popularity of concealed carry rising many new groups of shooters are rising. Some of these new shooters have unique demands for their firearms. 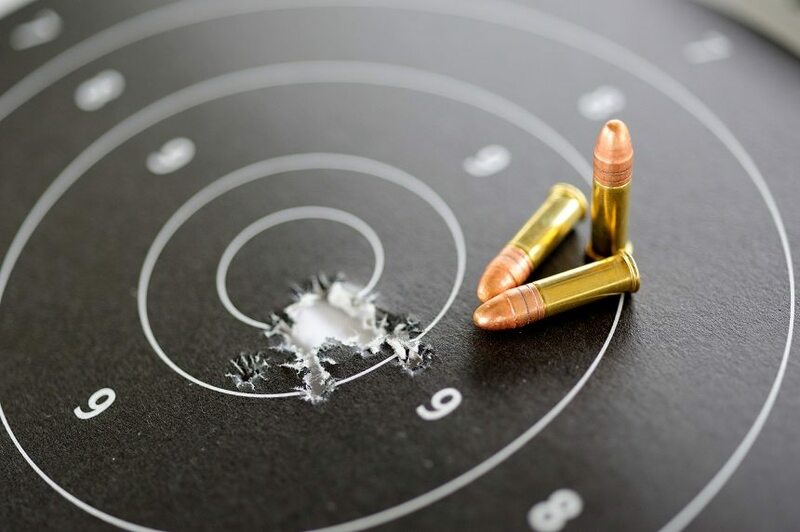 Some shooters are disabled and cannot handle the recoil of a centerfire firearm. 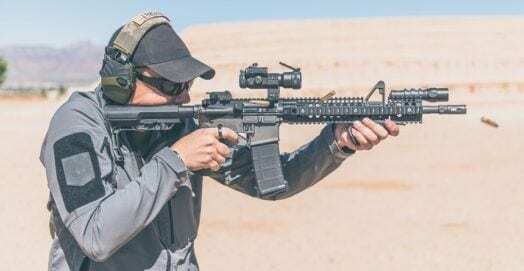 Other shooters demand something very small and compact due to different factors in their lives, and 22 caliber pistols offer an option for shooters that fill these roles. Using rimfire cartridges for everyday carry is a very controversial subject. The issue is not only poor ballistic performance, but the fact rimfire is not the most reliable system for ignition. This can often result in failures to fire or failures to eject. For this reason the user choosing to carry a 22 caliber handgun should look to a revolver. This solves the issue of failure to eject and extract. If the round failures to fire the user can just pull the trigger and cycle to the next round. The revolver is the better choice for both small size, and small recoil. A 22 handgun for everyday carry makes more sense than most people give it credit for. 22 caliber handguns are valuable for survival for numerous reasons. There is the affordability factor, 22 long rifle and magnum are quite cheap. There is also the lightweight nature of these rounds. These rounds are light and small enough that a brick of 500 rounds can be stored in a cargo pocket. This means they take up precious little space in your bug out bag. 22 LR is a great general purpose working round for taking small game and fending off pests. The 22 magnum is considerably more powerful and is more useful for hunting and defense. A 22 magnum is powerful enough to take game as big as coyotes and even alligators when shots are placed appropriately. 22 rimfires are also much quieter than any centerfire round. 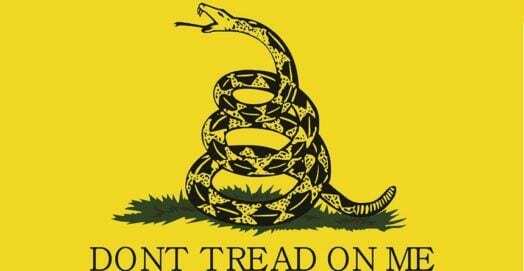 They are still loud enough to be heard, and from handguns are not hearing safe. However, the sound they create does not travel near as far as centerfire projectiles. Some specialty rounds like the Aguila Colibri are underpowered, but are also remarkably quiet. Every prepper does need a good 22 handgun, either magnum or long rifle, in their kit. A survival 22 handgun can be either a revolver or an automatic, and both have their strengths and weaknesses. Picking the Right Ammunition is Important. The ammo a shooter would for self-defense is not the same they’d use for survival. Self-defense ammunition is specifically designed to maximize the effectiveness of round in flesh. Self-defense ammunition is affordable, but still more expensive than standard bulk 22 LR or Magnum. EDC Ammo: For everyday carry and self-defense, you need to be ultra-selective about ammunition choice. Maximizing effectiveness of the meager 22 caliber bullet is critical. For an everyday carry or a 22 long rifle handgun the CCI 40 grain Velocitor is an excellent choice. It can penetrate more than 12 inches of ballistic gel, and maintains its weight as it travels through a target. CCI ammo is known to be quite reliable and very accurate. For the 22 Magnum handgun for everyday carry the 22 Magnum by Speer Gold Dot is a powerful choice. The Speer Gold Dot is designed for self-defense, and from a short barrel. These round expand a good deal more than standard 22 Magnum and are excellent penetrators. Survival Ammo: Survival ammo is generally any ammo you can purchase and store. There isn’t a need to select the most expensive defensive ammo out there. A 22 handgun for survival most likely isn’t the primary defensive firearm. Small game like squirrel and rabbit do not need to rely on expansion as much as someone trying to stop a human attacker. A standard all lead 22 LR round will solve most issues, and doubles well in a rimfire rifle equipped with the proper rimfire rifle scope. For taking bigger game with the 22 Magnum a specialized hunting load like Winchester X is affordable and effective. Standard 22 Magnum is likely to work quite well for varmint and predator. Let’s take a look at our top 5 picks. Some may say that our list is a little “Ruger heavy,” but with the reputation they have as a manufacturer and the history they have with the .22 caliber bullet, it’s impossible not to like their entire collection. The SR22 is our Top Pick. 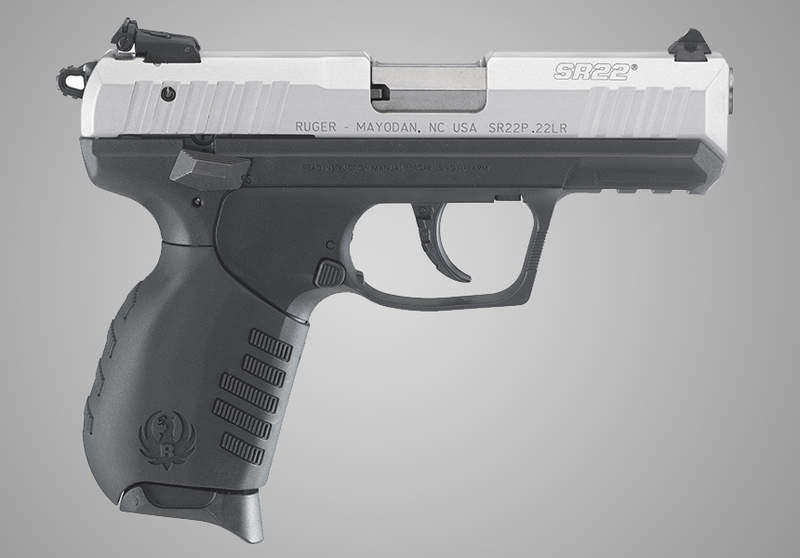 The Ruger SR22 is our top pick for a host of reasons, but the first reason is cost. It’s hard to get reliability like the SR22 under $300.00, but Ruger finds a way to put it into an affordable package. This is a great gun for EDC as the single stack magazine is quite slim, making it convenient for carrying. 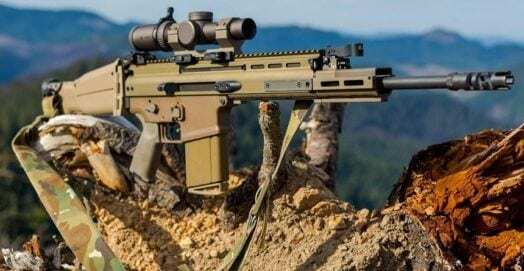 The .22 as a caliber doesn’t pack as big of a punch as the 9mm, but in any confrontational situation, merely having a gun is better than not carrying at all. The SR22 conceals nicely in waistband or outside of the waistband and is carried by many female shooters, including my wife. The SR22 shot straight the day we took it out of the box to the range the first time, and the fact that it’s extremely well balanced makes it a joy to shoot. 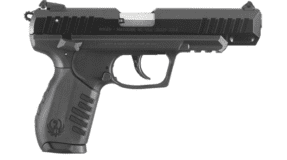 The SR22 is a DA/SA semi-automatic pistol that has a crisp trigger pull. 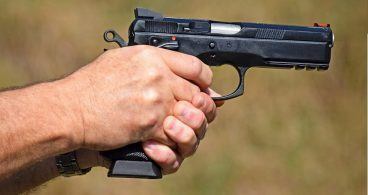 The grip length is just long enough to meet the bottom of the hand of most shooters, which is a huge plus if you don’t like shooting small handguns that cutoff before the end of your hand. The recoil is minimal making the SR22 an extremely fun little firearm to shoot. For the price, there’s not a better .22 LR handgun on the market today. 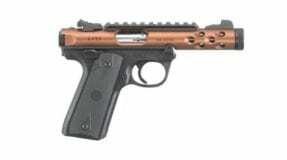 The Ruger Mark IV is a very popular pistol. The Ruger Mark series of 22 caliber pistols are legendary in their own right. 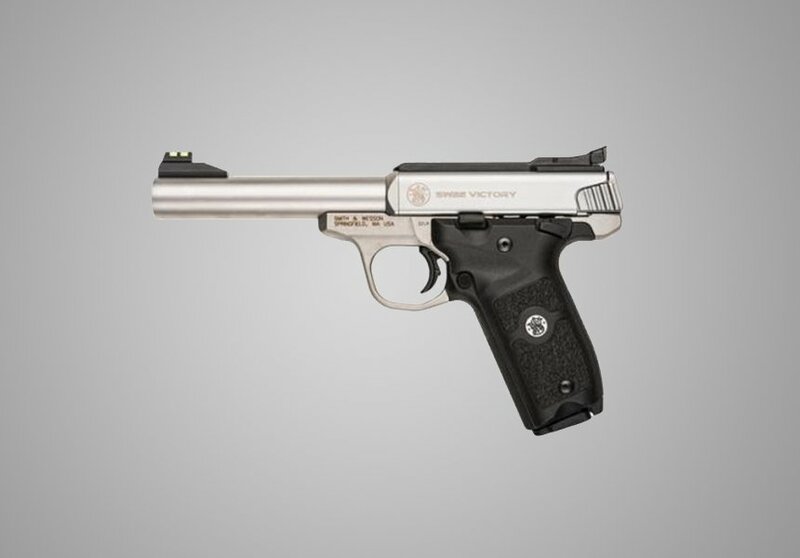 They were the start of Ruger as a company and have been produced continually since Ruger opened its doors. Any Ruger Mark series pistol is an excellent survival handgun, and preppers would be served well by any Mark series pistol. The Mark IV 22 is however the best of the bunch for survival. The Mark IV series introduced the newest method of disassembling the Mark series. The Mark series is well known for be difficult to take apart and clean. The Mark IV breaks down with a single button for easy cleaning. The 22/45 variant uses the grip angle and controls of the legendary 1911 pistol. The 1911 has brilliant ergonomics and these are translated well into the Mark IV. 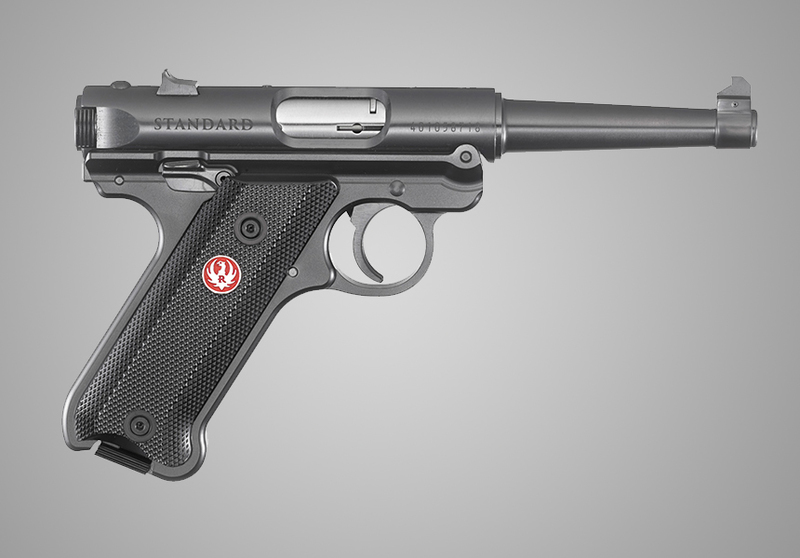 The Mark IV 22/45 also has a threaded barrel to accept a direct attach suppressor to keep things very quiet. There is both fixed sights, and a picatinny rail to attach an optic if a shooter desires. 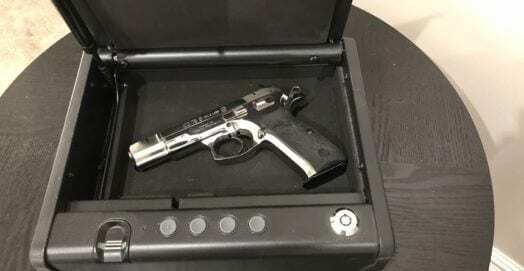 The Lite moniker is well earned and this full size 22 caliber pistols weighs only 25 ounces with the scope rail and magazine. The weapon feeds from a ten round magazine, and magazines and holsters are also widely available for it. Magazines also drop free from the grip when the mag release is pressed. The Ruger Mark IV 22/45 Lite is an excellent backpack pistol that is accurate, modular, lightweight, and exceptionally durable. That’s pretty much everything you need in a survival pistol. The Walther P22 became an instant hit in 2002. The Walther P22 was quite the oddball when introduced well over a decade ago. The Walther P22 looked more like a modern concealed carry pistol that the standard 22 LR handgun at the time. The Walther featured excellent ergonomics, and looked like something James Bond would carry. The Walther P22 initially had some growing pains when released, but the problems with the weapon have long been fixed. The Walther P22 is an excellent compromise as both an everyday carry gun and a survival pistol. 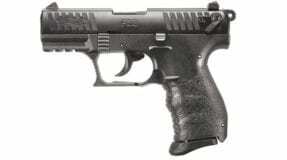 If someone desires to carry a 22 caliber pistol for defense the revolver is the better option, but if someone wants an automatic the Walther P22 is a good option. It’s small, compact, and holds ten rounds of 22 LR. The three dot, adjustable sights and 3.42-inch barrel makes the weapon easier to shoot accurately and offer a higher velocity than a snub nose revolver. The double action / single action design also offers a lighter trigger pull. 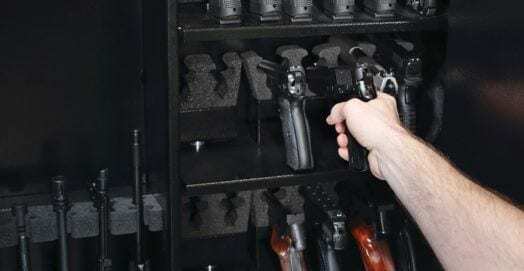 The main issue would be ammunition based, if carrying for self-defense, only the most reliable ammo should be carried. The Walther P22 is also large and easy to shoot enough to be a solid contender as a survival pistol. Magazines are widely available for it, as are holsters. The weapons weighs a mere 17 ounces and is small enough to be used by a child. The solid sights and great trigger make it easy to pop rabbits at 25 yards. Tack on the fact the barrel is threaded and with a simple adapted you can run a variety of suppressors on it. A suppressed 22 pistol is very quiet, especially when subsonic rounds are utilized. 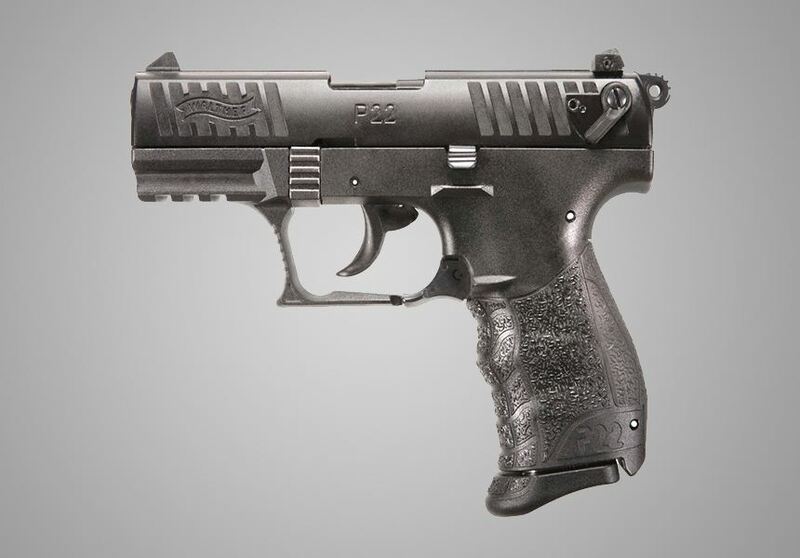 The Walther P22 is a good do it all gun for both survival and everyday carry. The Victory is one of S&W’s more popular pistols. The S&W Victory is Smith and Wesson’s newest 22 caliber pistol. This is a full sized design that stresses accuracy and precision. Because of its size it would make a poor everyday carry gun. However, as a survival pistol the S&W Victory shines due to its modularity. The S&W Victory 22 LR is a semi-automatic, magazine fed 22 LR pistol. The S&W victory is a full sized 22 pistol and there is really nothing compact about it. The 5.5-inch barrel does guarantee solid velocity, and the fact the barrel is fixed makes it inherently very accurate. The S&W Victory’s modularity comes from the ability to swap barrel almost instantly and equip optics to the weapon. Even though the S&W Victory was only announced in 2015 there are already multiple options for barrels. These quick change barrel system has a carbon fiber and fluted barrel option from Volquartsen. The current crop of barrels is based around making the weapon lighter in weight, and extremely accurate. Both options are threaded and can accept a suppressor or muzzle device. Swapping barrels is a drop in process that takes just a few minutes and a single screw to accomplish. In a flash you can also add a picatinny scope rail and outfit the pistol with a variety of optics. 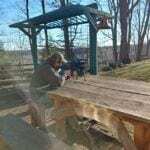 A skilled shooter with a long eye relief pistol scope could reign terror on small, unsuspecting game from a considerable distance. The S&W Victory carries an excellent reputation, no doubt in part by the reputation of all S&W firearms. The Ruger LCR 22 is our favorite .22 revolver. The Ruger LCR line of revolvers are some of the most modern revolvers on the market. 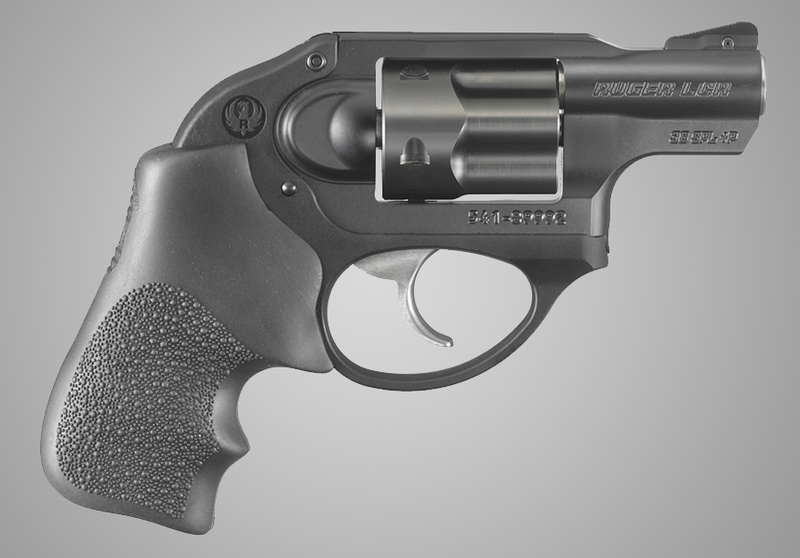 Ruger makes heavy use of polymer in the construction of their revolvers. This reduces the weight of a revolver and makes it more affordable than using materials like Scandium. The Ruger LCR series are most commonly called snub nose revolvers. This refers to their short barrel, and snubby nature. The LCR line has an enclosed hammer that makes the revolver easier to draw. The Ruger LCR series is an excellent everyday option for someone looking for a small, but low recoil firearm. The LCR weighs a mere 14.9 ounces and is superbly small. This makes carrying the weapon very easy and very comfortable. The LCR in 22 LR holds a total of 8 rounds, giving the user a good capacity for a revolver. The LCR 22 Magnum has a capacity of 6 rounds, which is one more than most snub nose revolvers. This increased capacity gives the user more shots, and allows more forgiveness if a round fails to ignite. The Ruger LCR line of revolvers has one of the best triggers out there. While the trigger pull is as long as a traditional DAO revolver, the pull is much lighter than a standard rimfire revolver. If a shooter has reduced hand strength and needs a 22 caliber round then they probably don’t have the strength for a heavy DAO trigger. The short barrel, and the rudimentary sighting system does not make this a good system for long range shooting. Any small target past 15 yards is going to be difficult to hit with any snub nose revolver for a shooter of average skill. 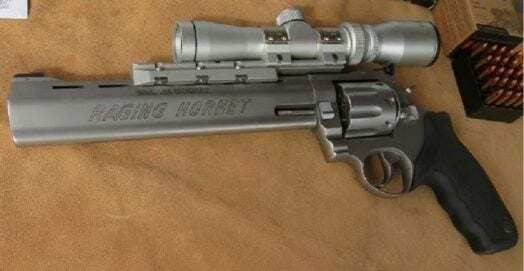 This makes the Ruger LCR better suited for everyday carry than survival. Even though the Ruger LCR is light and small there is almost zero recoil in both 22 LR and 22 Magnum. The 22 LR version has about as much recoil as a squirt gun. The 22 Magnum version has just a little more recoil, but it’s pleasant and tame. The LCR’s popularity has spawned a wide variety of holsters that are designed for concealed carry. 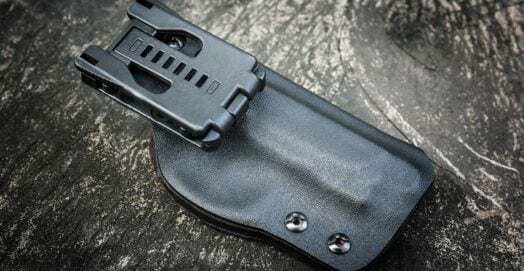 These holsters include options for outside the waistband, inside the waistband, ankle, shoulder holster, and even pocket holsters. On top of awesome holster selection there are also a number of different grip options available for the LCR. These can be larger or smaller to make an easier to shoot gun, or a more comfortable to carry gun. Big name companies like Hogue produce a variety of grips for the LCR. There is also the option of adding a red laser to the firearm through Crimson Trace Laser grips. You can also attach a laser unit to the frame with the LaserMax device. The LCR offers a lot of options for the everyday concealed carrier. A 22 caliber handgun’s low recoil, low noise, and general easy shooting nature make them one of the more versatile handguns out there. Add on affordable ammunition and the 22 caliber shines bright. In terms of survival and everyday carry, 22 caliber handguns have their place. Both survival and EDC handguns have their individual needs, and luckily there are a wide variety of 22 handguns to satisfy them. They are perfect for people who fear or cannot physically handle recoil. 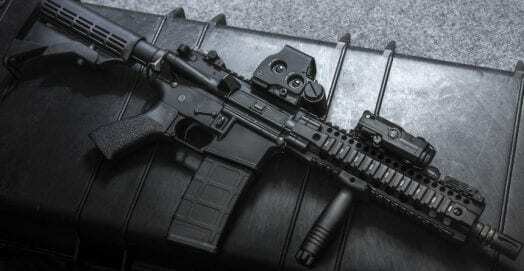 At same time are an invaluable piece of survival equipment because they are quiet and ammo is lightweight.